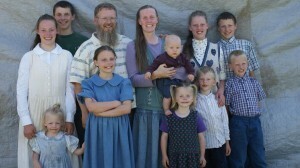 Hello, we are a family of 12 who live in North Idaho on a small 10 acre farm. How many does do you have and what are the LA scores of the does that you have bucklings for sale from. I am looking to import top quality bucks for Saanen and Nubian. First I want to give my condolences for the loss of your loved one. I’m so sorry. I’m sure he will be greatly missed. We discovered your milk through Farmer’s Market and then “followed” you to Tim’s Meat’s. When will you be supplying milk there again?